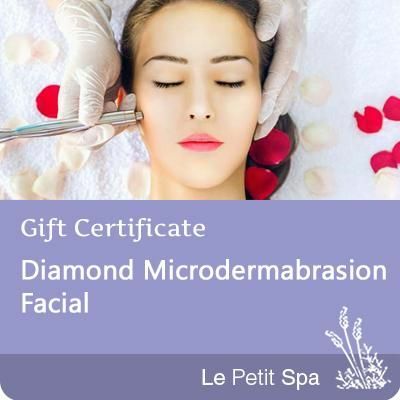 The Diamond Microdermabrasion Facial gives deeper results and uses a diamond encrusted tip applied directly to the skin. The microdermabrasion facial includes cleanse, deep exfoliation, a beautiful masque, your choice of massage (hand, arm, or scalp), and moisturizer to protect your skin. The length of the treatment is 60 minutes.